News articles about wildfires tearing through forests around the world are disturbing, but when the destruction is on a large scale it can be hard to grasp its magnitude from the words of a news article or even a photo or video of trees burning. 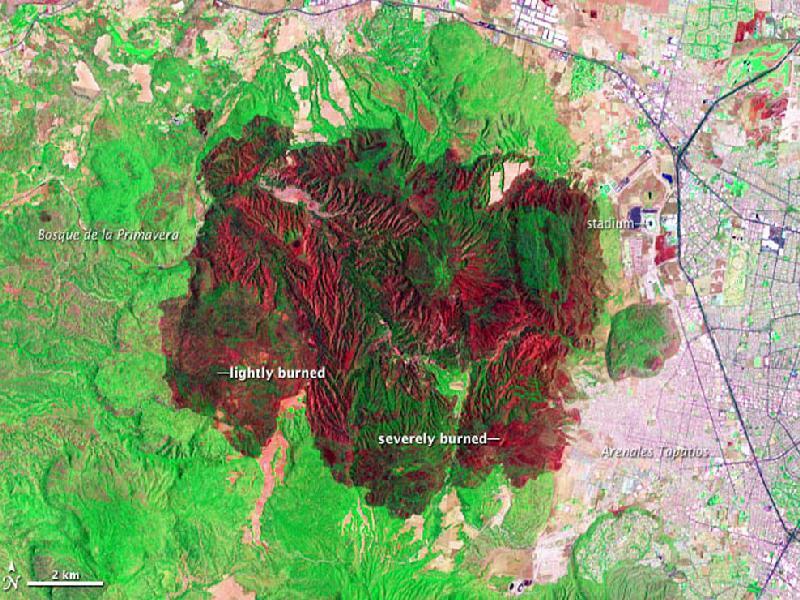 Satellite images like this one of the Bosque de la Primavera, a park west of Guadalajara in Mexico, can show the alarming breadth of fire damage in a different way. NASA posts images of fires from around the world on its web site.